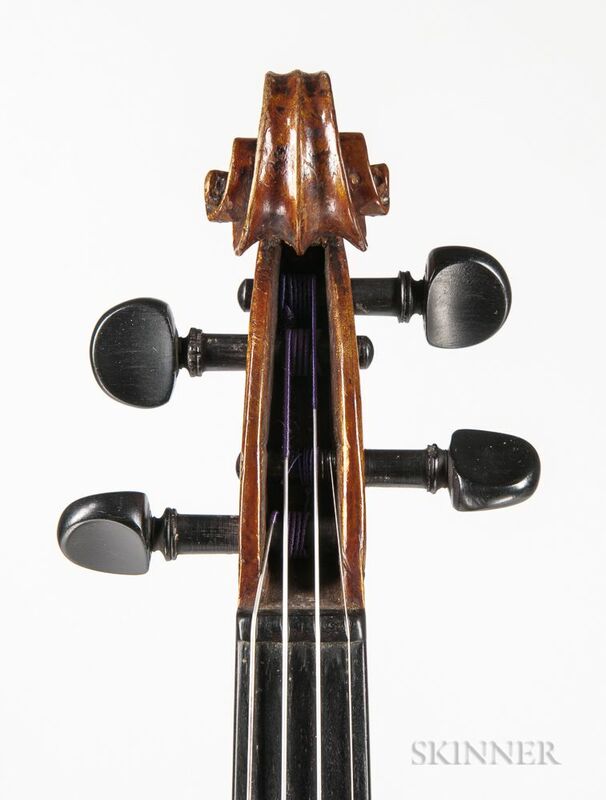 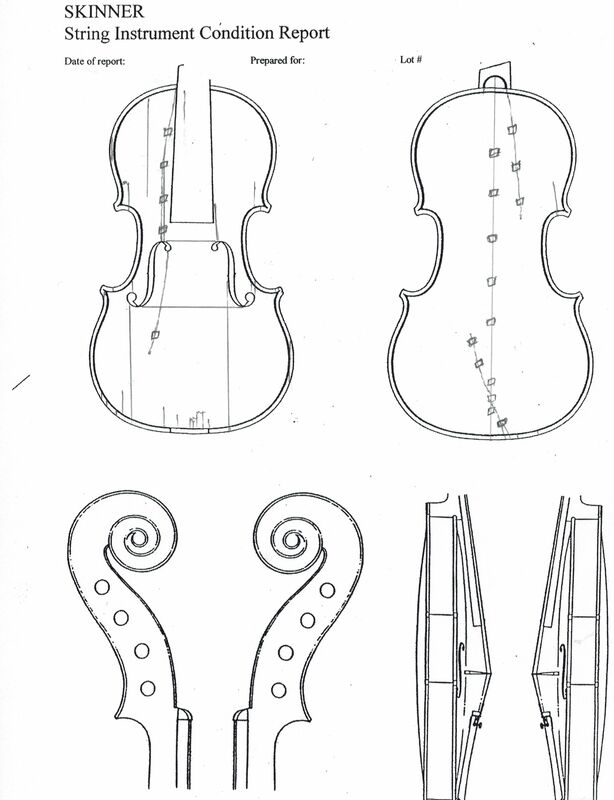 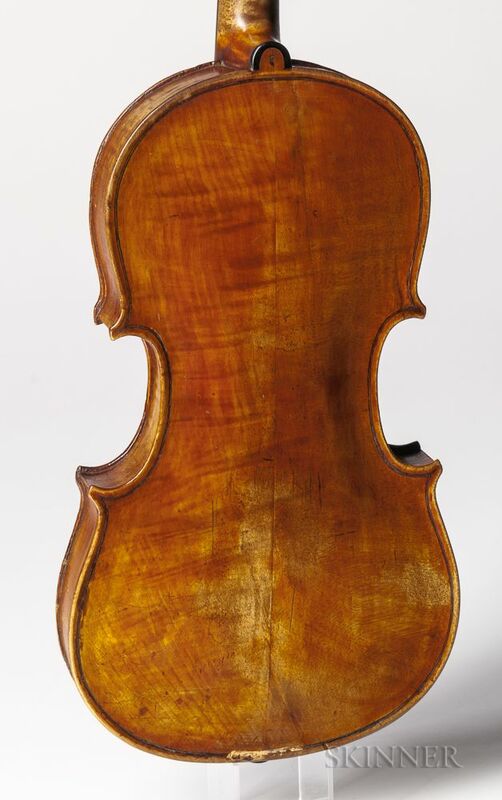 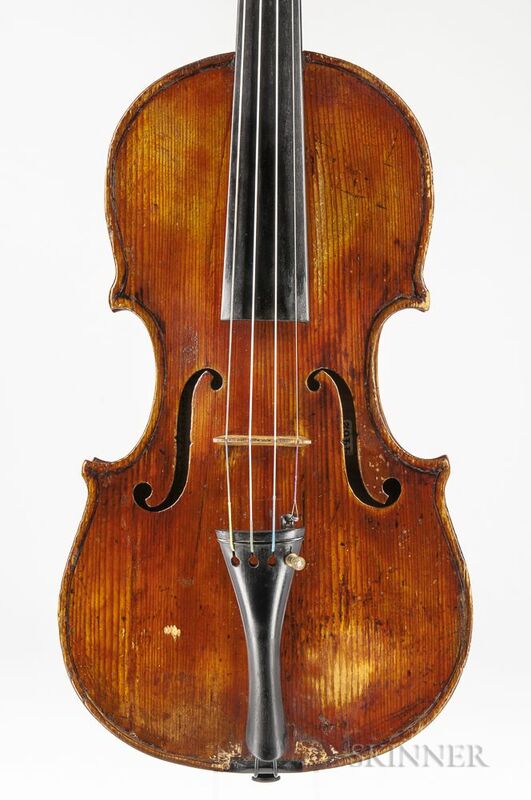 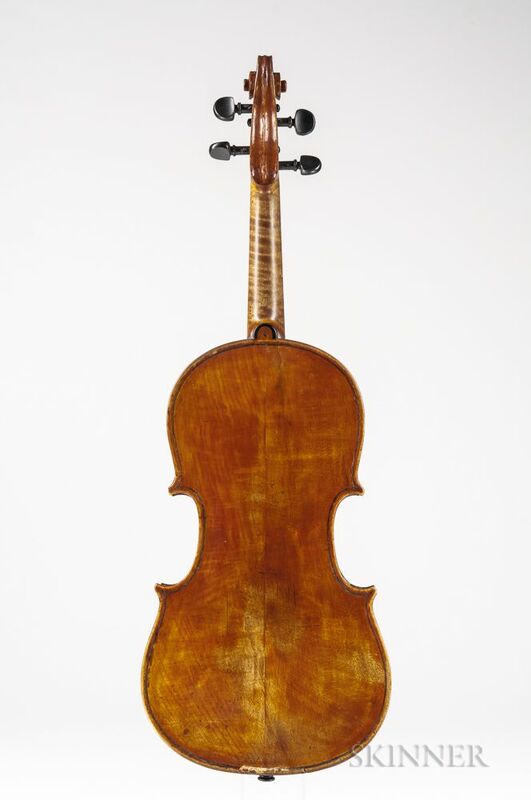 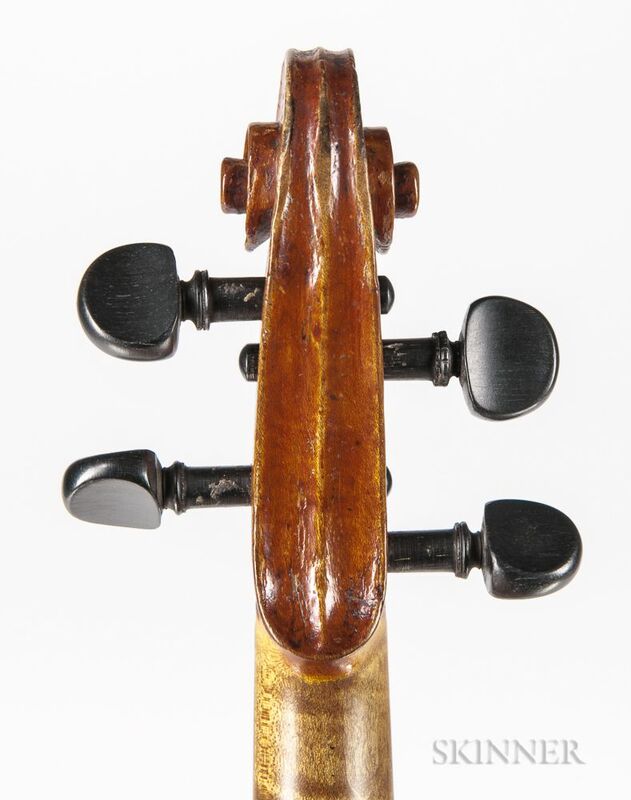 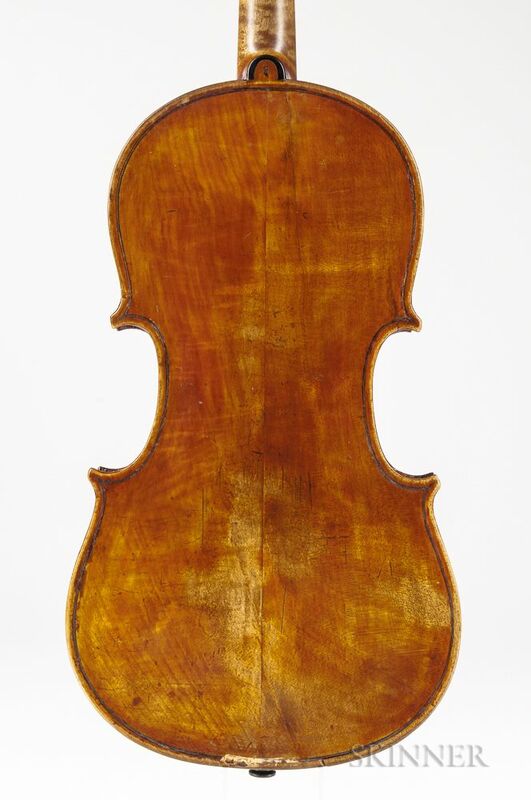 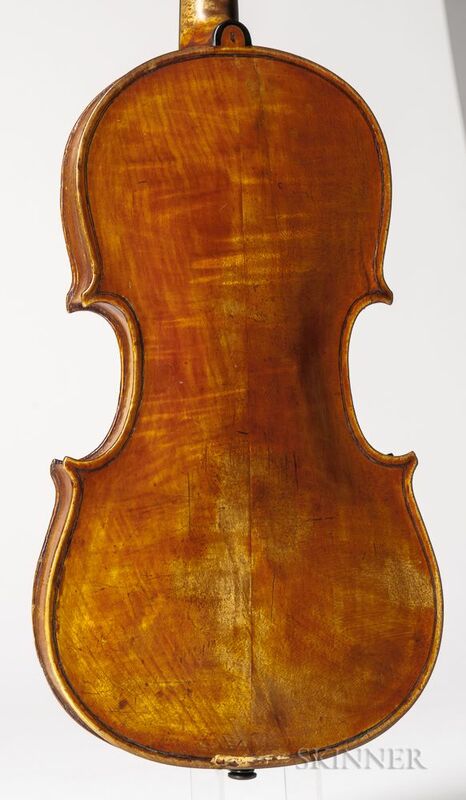 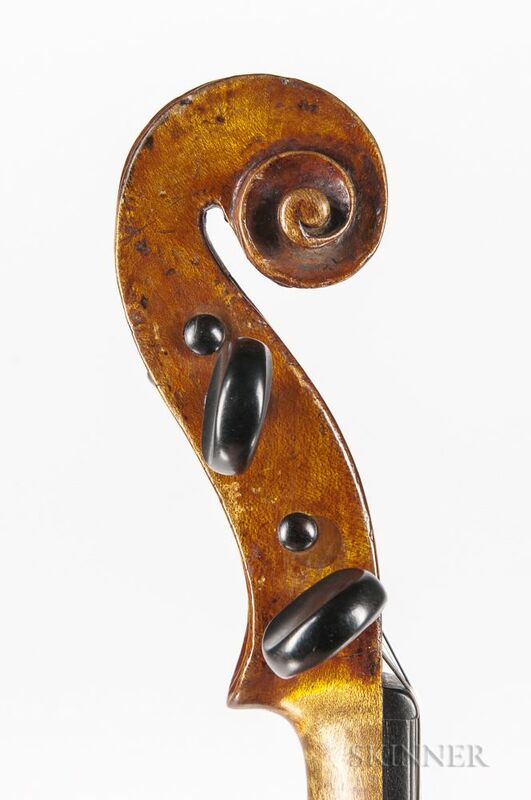 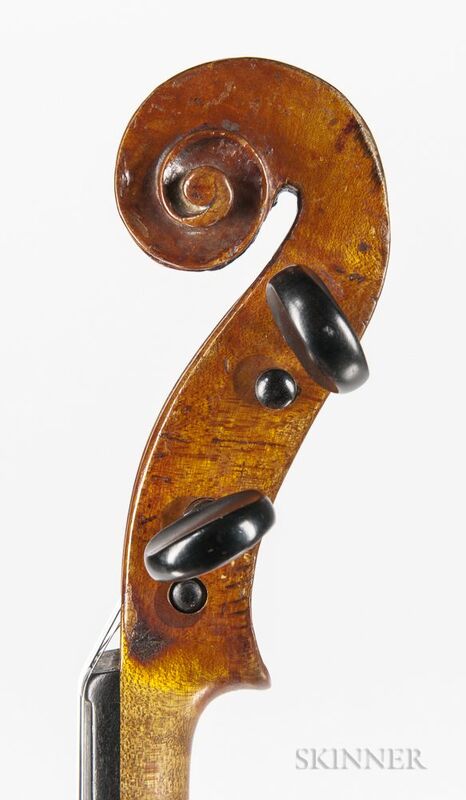 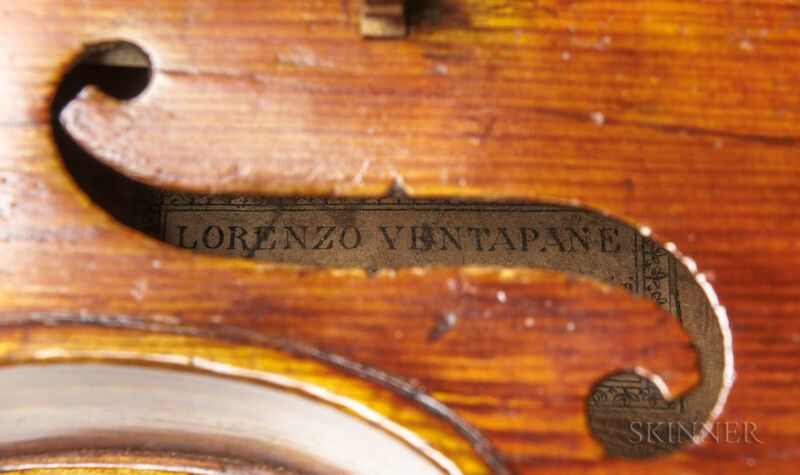 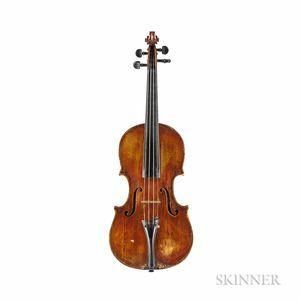 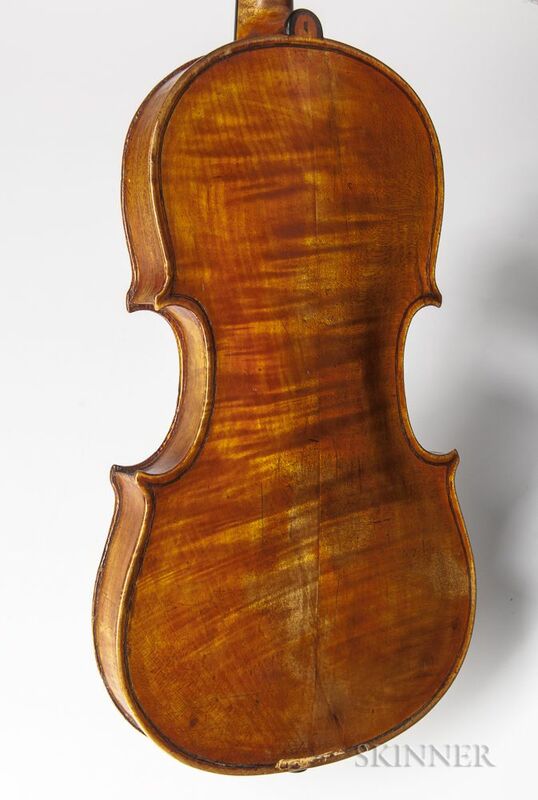 Italian Violin, Lorenzo Ventapane, Naples, c. 1843, labeled LORENZO VENTAPANE/Fabbricante di Strumenti Armonici/Strada Donnaregina n.7/NAPOLI 1843, bearing the catalog number 4462, length of back 356 mm, with case and bow. 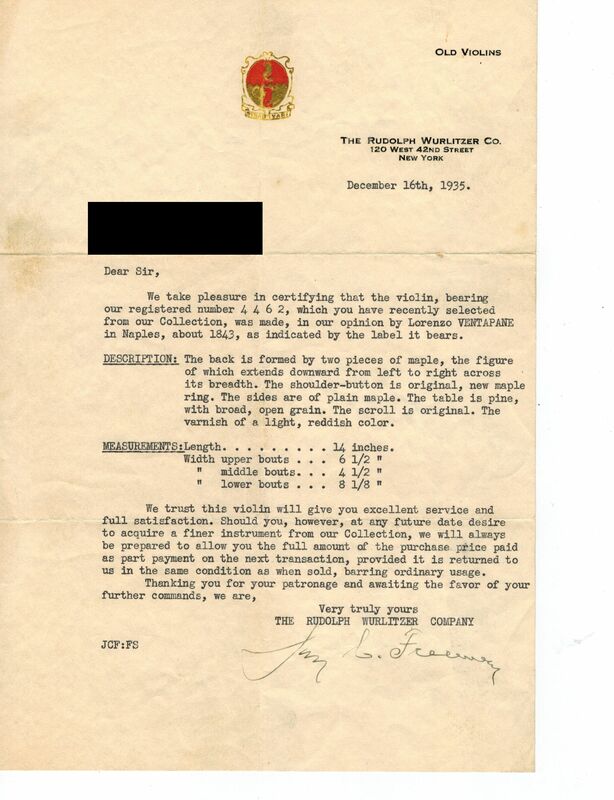 Certificate: The Rudolph Wurlitzer Co., 1935. 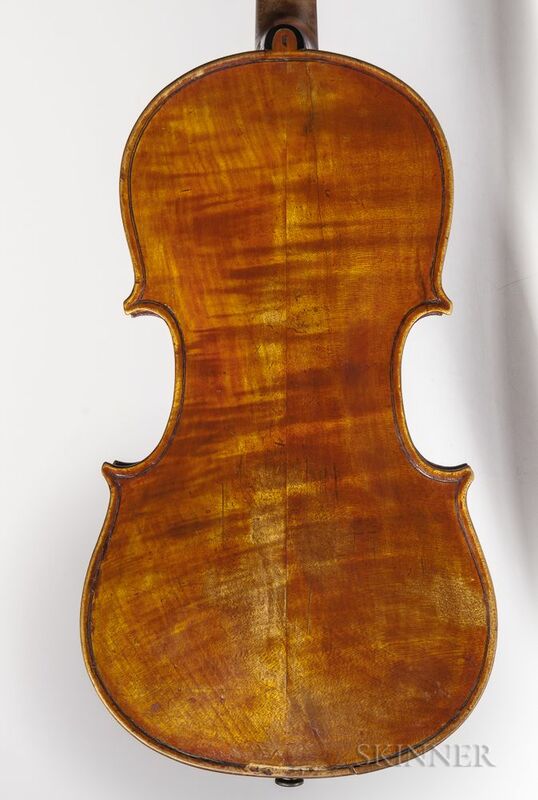 Numerous table restorations including breast patch, buckling to table at saddle, cleated back cracks emanating from upper and lower blocks, reglued back center seam, rib cracks at upper and lower blocks.